If you happen to be in Central Hong Kong, make sure to visit Flamingo Bloom and try their artisanal teas! 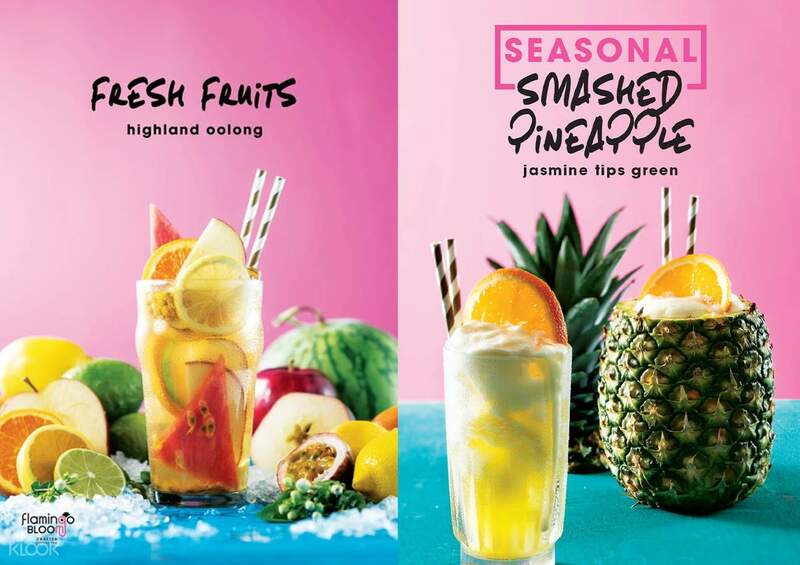 Klook Exclusive: book through Klook and get a sweet discount on their teas that cost HKD32-33 or HKD36-39! The peach jasmine tip tastes really good and refreshing. Highly recommended! 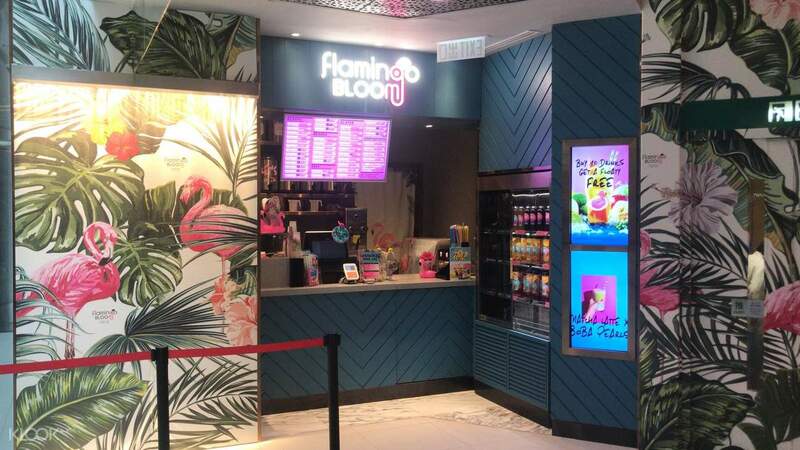 Take a break from Hong Kong's fast-paced lifestyle with a stop at Flamingo Bloom, a shop in Central that's revolutionizing the country's tea drinking culture one cup of tea at a time! Using premium, loose-leaf teas that are free from any synthetic ingredients, Flamingo Bloom introduces new and refreshing twists to the long history of tea. Admire the shop's unique yet cozy interior, with patterns of bright pink flamingos and palm trees everywhere. Savor the taste of their specialty drinks, freshly-brewed every four hours, giving each cup an irresistible aroma and delicate flavors! Choose from a wide selection of flavors, including Highland Oolong, Jasmine Green Tips, Honey Orchid Black Tea, and Chrysanthemum Pu'er. 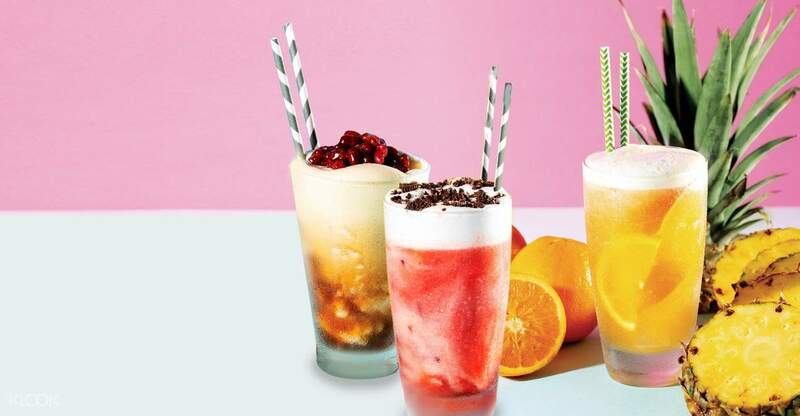 Try their refreshing teas served plain over ice, or dress it up by adding matcha powder, boba, or some delicious fresh fruits. Klookers also get to avail of sweet discounts for their teas. This is definitely a must visit shop, especially if you need to beat the Hong Kong heat! 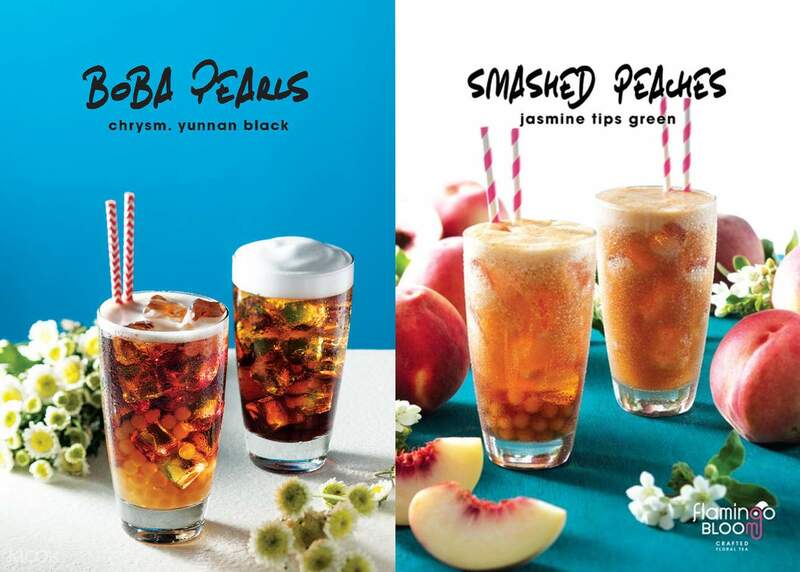 You can take your tea plain with ice or you can customize it by adding matcha, fruits, and other cool add-ons! Very simple and straight forward procedure. Big savings on the drinks. They are having a Klook promotion which can help to save even more and the shop was very kind to remind me to scan the promotion code to enjoy the savings. Highly recommend to use Klook and explore the savings they offer. Very simple and straight forward procedure. Big savings on the drinks. They are having a Klook promotion which can help to save even more and the shop was very kind to remind me to scan the promotion code to enjoy the savings. Highly recommend to use Klook and explore the savings they offer. I've tried the Boba Rose Jasmine and it was so great! Great decoration with Flamingo and nice drink! Surely will come again! I've tried the Boba Rose Jasmine and it was so great! Great decoration with Flamingo and nice drink! Surely will come again! Good location in IFC mall, plentiful choices and eye catching design. Good location in IFC mall, plentiful choices and eye catching design. Strawberry jasmine tea was disgusting. It was strawberry and green tea mixed together. Strawberry jasmine tea was disgusting. It was strawberry and green tea mixed together. Pretty mediocre tea at times. The smashed blueberry or smashed mango are decent choices. Pretty mediocre tea at times. The smashed blueberry or smashed mango are decent choices. Although the service at Flamingo Bloom wasn’t spectacular, the drinks made up for it. They had a variety of handcrafted teas from Alishan Oolong, to Highland varieties to salted milk cap mat has. The tapioca was chewy and perfectly cooked. They are also perfect for capturing that Instagram photo! Although the service at Flamingo Bloom wasn’t spectacular, the drinks made up for it. They had a variety of handcrafted teas from Alishan Oolong, to Highland varieties to salted milk cap mat has. The tapioca was chewy and perfectly cooked. They are also perfect for capturing that Instagram photo! Easy to redeem voucher. Very friendly service. Excellent quality tea leaves used in their drinks. Wasn't a fan of the texture of the smash peach tea - everything else was superb! Easy to redeem voucher. Very friendly service. Excellent quality tea leaves used in their drinks. Wasn't a fan of the texture of the smash peach tea - everything else was superb!